I'm all about simple DIY projects. Give me uncomplicated with few supplies and even fewer instructions. The less time it takes the better. 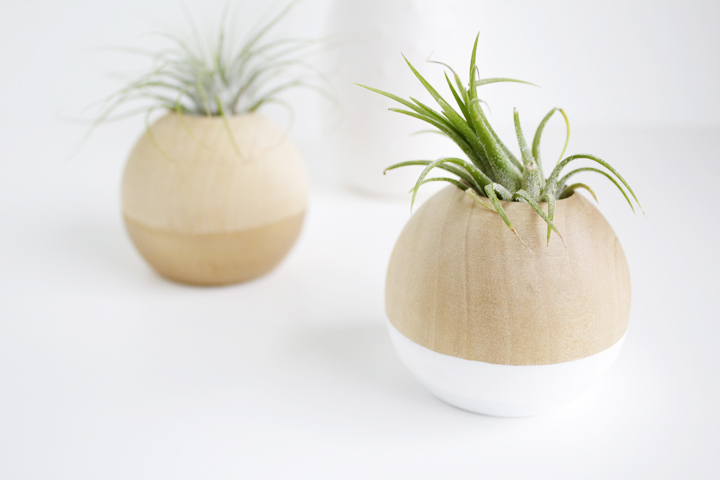 I'm sure this is complete DIY blasphemy (especially coming from a lifestyle blogger), but I go for maximizing my cute project potential in the easiest way possible. Can I get an amen!? 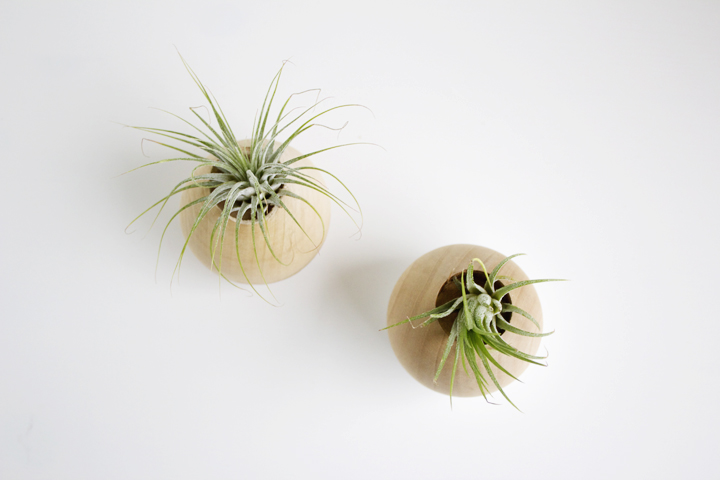 I've been spying minimalist air plants pots/pods similar to these at almost every craft fair and handmade shop I've popped by this summer and I'm loving them. 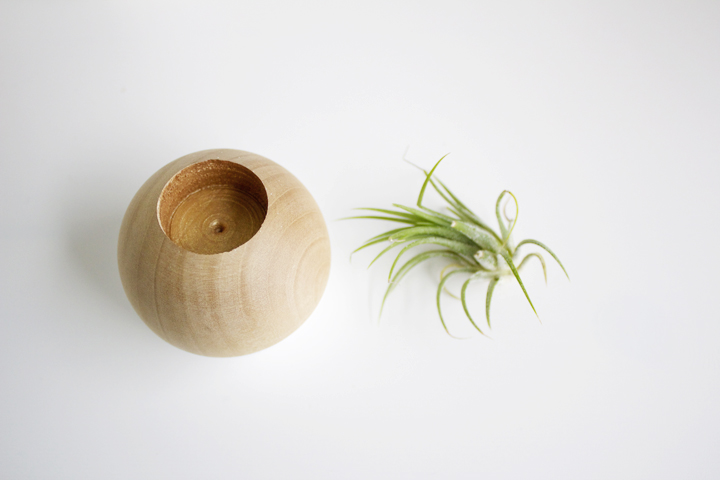 Inspired by the abundance of homeless air plants just lying around my house waiting for the right vessel to come along, I set out to make a version of my own. 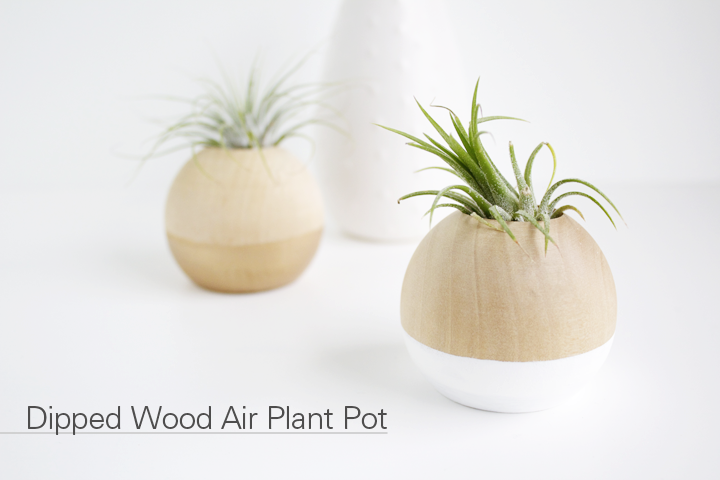 This paint dipped wood air plant pot is SO simple to make I hesitate to even call it a DIY. All told, it took me about 12 minutes to complete (give or take a few). And isn't that the perfect amount of time to spend on a project? Click through for the how to. Mark the center of the rounded top of the wood knob and drill a hole about 1" deep. Clean out the excess saw dust and sand down any rough edges. Mix two parts water to one part paint in a small but deep bowl. I found this ratio worked best for me, but you might want to experiment with these proportions depending on the type of paint you use. Dip the flat end of the wood knob in to the bowl of paint. Carefully lift from the paint and set on wax paper to dry. 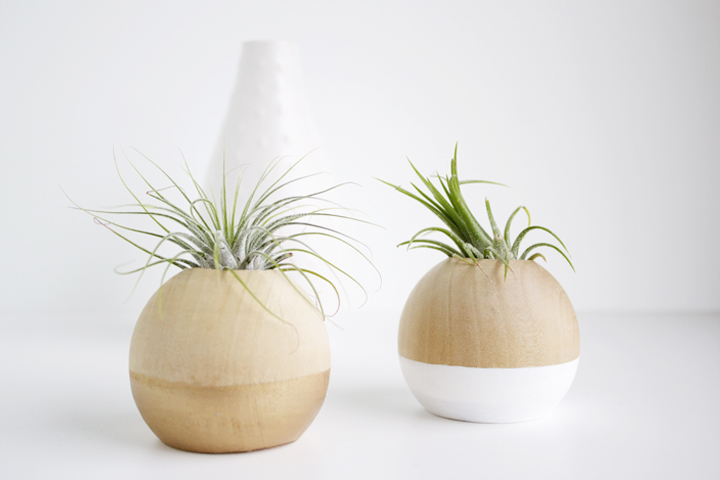 Once the paint is completely dry, add your air plant, and admire how lovely!